Allison Arieff is SPUR's editorial director. 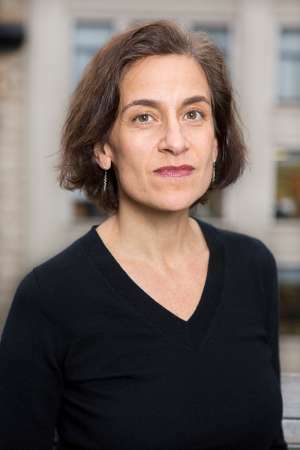 A contributing columnist to The New York Times since 2006, Allison writes about architecture, design and cities for numerous publications including California Sunday, the MIT Technology Review, Dialogue and CityLab. She is a former editor-at-large for GOOD and Sunset magazines and from 2006–2008 was senior content lead for the global design and innovation firm IDEO. She was editor-in-chief of Dwell (and was the magazine’s founding senior editor) until 2006; Dwell won the National Magazine Award for General Excellence in 2005 under her tenure. Allison is the author of the books Prefab and Trailer Travel: A Visual History of Mobile America and has contributed to and/or edited numerous books on architecture, design and sustainability including Airstream: The History of the Land Yacht, Hatch Show Print: History of a Great American Poster Shop, Block by Block: Jane Jacobs and the Future of New York and Urban Farms. She lectures and consults regularly on design and media and has been featured on NPR, KQED Forum, the Diane Rehm Show, the Sundance Channel’s Big Ideas for a Small Planet, HGTV and CNN Money, among others. Allison got her start in publishing with stints at Random House, Oxford University Press and Chronicle Books. She has a BA in history, an MA in art history and completed her PhD coursework in American studies at New York University.